High 5 Games is an operator that we know all too and well, not only do they developer video slots for online punters but they also develop slot machines for land based punters. They’ve created hundreds of slots like “City of Lights”, “Crystal Kingdom” or “Dangerous Beauty”. Today High 5 Games revealed that they’ve released three different mobile gambling apps to the iOS and Android Platform. You can now experience everything High 5 Games has to offer on either your iPhone, iPad or Android Mobile Devices. These apps have been named “High 5 Casino” and “Shake the Sky Casino”, both of which are currently available on Android Devices. Shake the Sky on the other hand is only available for iOS Based Devices. As of right now a total of fifty five video slots have been ported over to these mobile casino apps. Twenty five slots have been ported over to “High 5 Casino” while twenty five slots have been ported over to “Shake the Sky Casino”. Shake the Sky Casino, which is available for both mobile platforms is an Asian focused casino. It includes a total of twenty five video slots and also offers an array of video poker casino games as well. You can download and play at both of these casinos by going to the operator’s website, you will then have to register an account and deposit money through one of their many payment methods. Then you will be able to experience some of the best mobile gambling experiences known to man. One fortunate punter has been lucky enough to trigger a large jackpot while playing “Jackpot Joker Poker”. This winning punter was able to take home a total of €180,943 after taxes. This stands as the largest jackpot ever won for this video poker based casino game. The previous largest jackpot to be won through this video poker game is only forty seventy thousand Euro’s which is considerably low for such an old casino game. PAF for those of you who don’t know is an online casino that offers punters video slots, bingo games, table games, card games, online poker, sports betting and live casino games. They offer the Net Entertainment software which means you will be getting some of the best gambling experiences known to the online betting market. This jackpot came to light after PAF revealed that this jackpot was won at their casino and alongside their announcement came a statement from the winning punter. 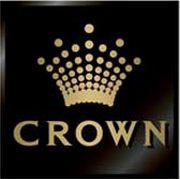 Crown Resorts is an Australian land based resort that offers top quality dining, family fun shows, luxurious pools and so much more for the family or yourself to enjoy. Those gamblers looking for a vacation will be happy to know that Crown Resorts has now acquired Betfair Australasia for $10 Million Australian Dollars. Throughout the last ten years Crown Resorts has been working alongside Betfair Australasia to offer their resorts a premium gambling service. They’ve split the profit fifty percent between each other but now Crown Resorts wants to the full package, regardless if that means they have to spend a bit more time operating both of the resort and casino as the same time. Betfair Australasia was purchased for a smaller price due to a net loss of A$1.8 Million that occurred last year.